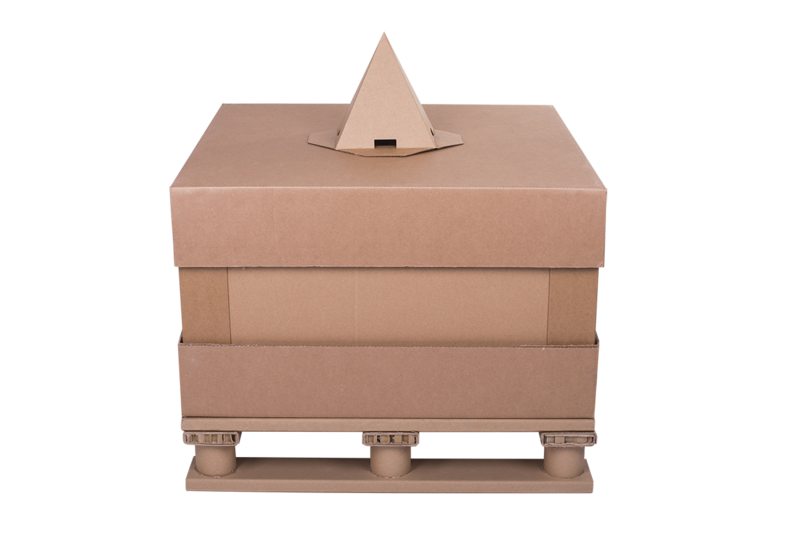 PALLZA transport box is a product designed for the transport of goods, which placing on the pallet is not possible or not profitable. PALLZA boxes are very light while maintaining high durability. 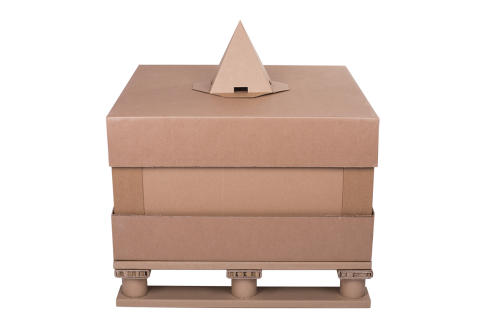 The base of the transport box is PALLZA pallet, lids are made of 5 - layer cardboard, while side walls of very durable 7 - layer cardboard and additionally reinforced with cardboard angles. The dimensions and construction of boxes are adapted to the customer's requirements related to the specifics of the goods to be placed in the box. Similarly to the PALLZA pallet, the use of a special construction that combines different types of paper eliminates the need for fumigation certificate.